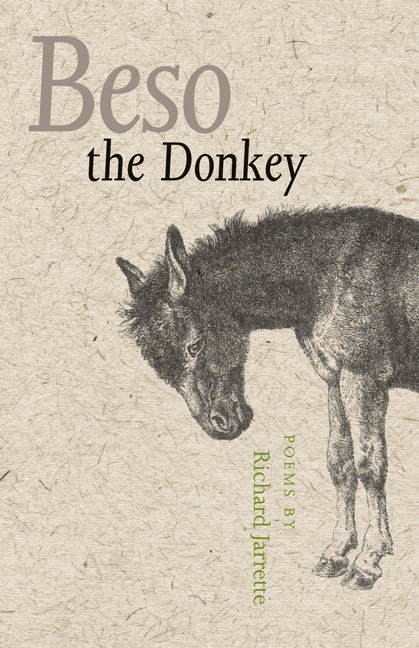 Beso the Donkey is a poetry cycle about a wounded, neglected, and abandoned jackass. In sparklingly clear and luminous poems, Richard Jarrette tells the story of Beso and of his caregiver's attempts to understand and heal him—an endeavor that teaches the man much about the meaning of life, death, peace, and acceptance. With undertones of Buddhist, Christian, Taoist, and Islamic faiths, Beso the Donkey incorporates elements of philosophy, ethics, religion, and morality. As the book progresses, we sense the poet’s growing acceptance of life’s passing. Along with the author, we feel a deeper peace blossoming as Beso’s life is ending (which is itself a beginning). This is a lyrical story of loss and acceptance. Richard Jarrette has published several poems in Blind Donkey, the journal of Honolulu Diamond Sangha, and has written a screenplay, Better Stuff. He is also a working psychotherapist.